Ali Judian Al Rashidi, our dignified sponsor, is one of the most sincere men who has devoted his time and energy in his service to education. 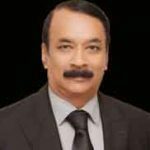 Born in February 1965, Mr. Rashidi showed interest in science and education throughout his life..
T. Premkumar – MSc; Ed (Regional Institute of Education – formerly known as RCE -Mysore) is a post graduate in Chemistry Education from one of the foremost reputed teacher training institutes in India under the NCERT. A university second rank holder –silver medallist in post-graduation studies went on to join the Indira Gandhi Centre for Atomic Research – Kalpakkam (formerly known as Reactor Research Centre) and researched on estimation of Uranium in spent fuel and has a paper to his credit. Later returned to teaching profession and joined Indian School Muscat – a premier institution in the Middle East in 1983 and served the institution in various capacities – a career spanning 28 years at Muscat, starting from being a TGT Science, PGT Chemistry, HoD Chemistry, and Vice Principal of Senior School and later as the principal of the branch school. Recipient of “Best Teacher award from CBSE in 2017” Mr. Premkumar also received a certificate of commendation from Simmons College – Boston USA for being voted as the best teacher by the alumnus of Indian School, Muscat. In addition to excellence in academics, he excelled in sports and games representing the Kendriya Vidyalayas and the Regional College of Education, Mysore in various sports and athletic events. Attended several conferences, conducted several workshops and seminars and several hundred teachers are trained in a career spanning 37 years. Served as resource person for over 15 Indian Schools in Oman for training Chemistry teachers. In 2017, was invited to Nagpur to present a paper at the 6th International Principals Educational Conference on the topic “Generating Happy Minds – Thought behind Education” and presented a paper on influence of music, art and sports in creating happy minds at schools. The paper was accepted and published in their journal. 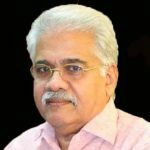 Appointed by the CBSE as a Tele – Counsellor for Kuwait CBSE schools, and was also appointed as mentor to three CBSE schools in UAE, Kuwait and Kingdom of Saudi Arabia. 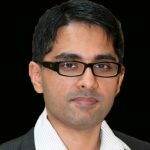 He is also the Academic Coordinator of the Science India Forum Muscat an organization under the Vigyan Bharathi of India and actively contributes to its activities. For his outstanding contribution to SIF, Premkumar received a letter of commendation from Padma Bhushan DR. Vijay P Bhatkar and an award from the Indian Ambassador to Oman in the year 2010. 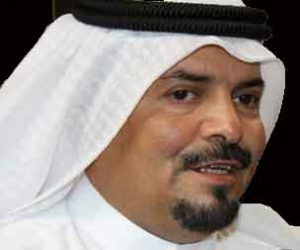 Currently he serves as the secretary to the Gulf Council of the CBSE affiliated schools in the middle east. Mrs. Lalitha Premkumar, a passionate teacher and great public speaker, has 29 years of illustrious teaching and administrative experience. She began her career in Bharatiya Vidya Bhavan, Chennai as a Commerce teacher. Later, moved to Muscat and worked for 22 years teaching grades 3 to 8 and was promoted to the rank of Assistant Vice Principal, during which she had the responsibility of syllabus planning and staff training apart from routine work of administration. She trained teachers in activity oriented teaching and won appreciation from all stakeholders. She spearheaded the CCE program in the primary wing of Indian School Muscat, training the teachers in activity based teaching. She joined Bhavans Kuwait in the year 2010 and ever since has been working as the Vice principal of the Primary and Kindergarten Wing. As the Vice Principal she played a key role in developing a positive school climate by ensuring high and consistent performance standards for staff and students, facilitating team growth and constructive change processes. She has trained and inspired many children to become avid readers and speakers. She has also played a stellar role in launching the CBSE international stream in Bhavan and developed the curriculum with her team for all subjects from classes 1 to 5. She has attended the CBSE-i conferences and workshops, and other international conferences organized by the CBSE and has also extended training to the teachers of other schools in Kuwait. She demonstrates commitment to ensure quality education for all students in the primary wing. Her goal is to remain dedicated,resourceful and goal oriented with a strong commitment to the social and academic growth and development of every student. 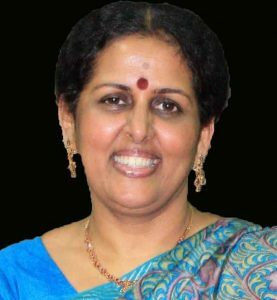 Trained as a Nursery Teacher from Bharatiya Vidya Bhavan – Kochi Kendra, Ms.Rathi Raveendran was absorbed by Bharatiya Vidya Bhavan as a Nursery Teacher in 1997 and deputed to IES – Bhavans – Kuwait Kendra as a teacher in 2007. Her dedication and innovative ideas towards teaching propelled her to be the Principal of JACK AND JILL – NURSERY SCHOOL OF BHAVANS IN MANGAF. She developed an understanding of principles and processes of various aspect of child’s growth and has planned educational activities accordingly. She has attended various workshops conducted by the PROGRESSIVE CURRICULUM MANAGEMENT (PCM) at Kochi. As an able administrator with a par excellence, she contributed immensely to the field of education and developed a fun-oriented process for tiny little learners. Meticulous and sincere – she has a flair for managing responsibilities with enthusiasm and poise. Mrs. Meenakshi Nayyar is a post graduate in Geography from the prestigious Delhi School of Economics and got her degree in Geography from Miranda House, one of the best colleges in India. 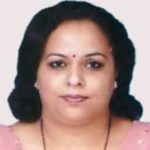 She has a rich experience of 21 years of being a geography teacher and a motivator in some of the most reputed schools of Delhi and Kuwait. Her association with Bhavans Kuwait is a decade old now. She joined IES in 2008 as a geography teacher. In the year 2012 she was promoted to head the department of Social Science. After motivating the department for five years, she was promoted to the rank of Vice Principal taking charge of co-curricular activities of IES. This trained professional in quality management has firm belief in the dictum “quality can never be 100%, it can be improved every time.” Her philosophy about education doesn’t limit itself to academics. According to her the holistic development of young mind takes place only through exposure to various activities. She has been actively involved in organizing different activities in IES since 2008. She was the first coordinator of KQ Matters, the prestigious interschool quiz hosted annually by IES. She heads the BMUN CLUB, which is credited to organizing the first ever Interschool Model United Nations competition by an Indian school in Kuwait. Many students who took part in different activities and contests outside Kuwait such as Youth Congress at Doon School, Dehradun, La Martiniere MUN, Calcutta, and Gems Our Own School MUN, Dubai were guided and accompanied by her. She is a passionate teacher of Geography and believes that great teachers focus not on compliance but on connections and relationships with the students.